Peeling an apple is sometimes boring, time consuming and dangerous for your fingers. All you want to do is just eat a clean, peeled, skin free apple. 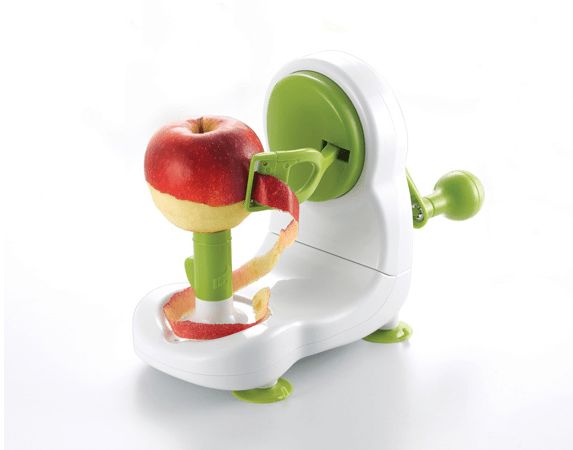 The Super Apple Peeler by Konstar may be the right product for you and your kitchen. Who said that apple pies are difficult? Peel a dozen of apples in a minute with this super apple peeler. When is your next time to bake an apple pie?